Beetroot offers a natural hair fall remedy. Offers various minerals helpful in hair growth. It is easy to use and has no side-effects. Follow your beetroot treatment properly for best results. Are you suffering from hair loss? Bet you have already tried several treatments to treat your disheartening hair loss problem, but have you tried beetroot pack for hair loss? If you haven't tried it yet, give it a shot and you will get to see visible results soon. How does beetroot help in hair loss? Beetroot is loaded with vitamin B and C, phosphorus, calcium and protein that play a crucial role in growth of healthy hair. All these nutrients are known to stimulate hair follicles, thereby, boosting hair growth. Moreover, it contains antioxidants that give your hair a natural shine. It prevents hair fall by tightening pores in the scalp and is also an excellent source of potassium, the deficiency of which can cause hair loss. Boil few leaves of beetroot in water until the water comes down to half its quantity. Strain the leaves and prepare a paste by grinding them. Now take one tablespoonful of henna and mix it with the paste. Gently massage the paste on your scalp and leave it on for around 20-30 minutes. Wash your hair with a mild shampoo. For best results, follow this routine 3-4 times in the morning. 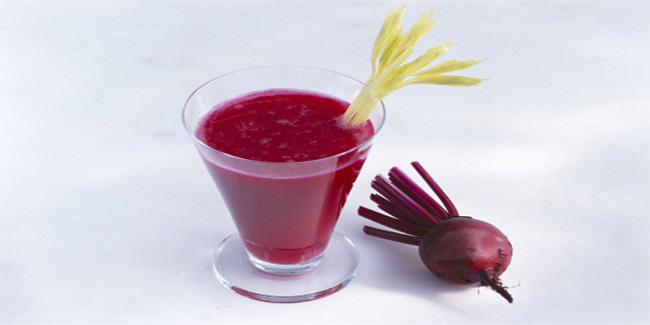 You can also drink a glass of beetroot juice daily to promote healthy hair growth.